This risotto is something very special. You will need a mixture of seafood – try red mullet, monkfish, bream, John Dory, cod, mussels, clams, prawns and a little sliced squid. You can either use bought fish stock to make this risotto or you can have a go at making your own, as I do here. (Ask your fishmonger for the fish heads to use in the stock – these usually go into the bin, so you shouldn’t be charged for them). I’m going to make it in a slightly different way to the normal method, where I would fillet the fish before adding the bones and fish-heads to the stock, so bear with me! Put 1.5 litres of water into a large pan with the carrots, tomatoes, bay leaf and whole parsley sprig and bring to the boil, adding your whole fish but not your shellfish. Simmer for 10 minutes, then remove each fish from the pan and flake the flesh away from the bones. (If you have a cod head, try to remove the cheeks as they’re the best bit!). Put the meat on a plate to one side; return any bones to the stock to simmer for another 15 minutes max, skimming any froth off the surface every so often. Meanwhile start your basic risotto bianco, adding the fennel, fennel seeds, chilli and saffron to the pan at Stage 1. Pass the stock through a colander into another pan and throw away the vegetables and bones. 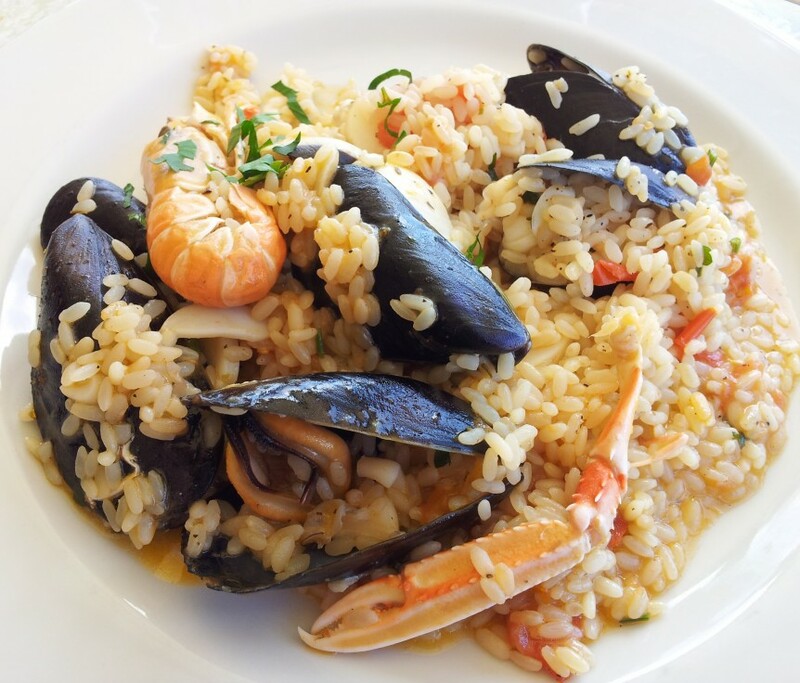 Add most of the fish stock to your risotto, keeping a little to finish the dish, and when the rice is nearly cooked towards the end of Stage 3, add your flaked fish and shellfish. After 3 or 4 minutes the shellfish will have opened (discard any that remain closed); then remove from the heat. As you’re not supposed to mix cheese and fish in pasta or risotto dishes we’re not going to finish it with Parmesan. Instead, at Stage 4, when you add the butter, check the seasoning, drizzle with a lug of extra virgin olive oil and squeeze over the lemon juice. To serve, divide the risotto between your plates, and spoon over the remaining stock. Drizzle with some more extra virgin olive oil and sprinkle with the remaining parsley and the reserved fennel tops.